Check out this fabulous collabo for Tammytown! Design by Jen Davison and illustration by Lindsay Arnold! I'm thrilled. This is a sneak peak of the DVD cover. 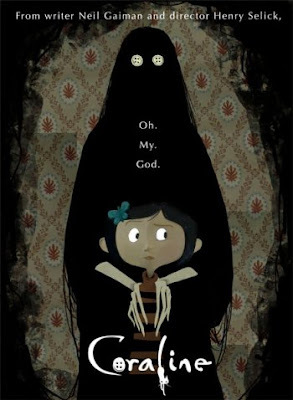 I think Coraline the movie is going to look amazing when it comes out! Made right here in my backyard, too! PS- the novel is a quick, fun read, and available in print and audio CD at your local library!